Shares of Thousand Oaks-based Amgen climbed past the $117 mark in after-hours trading Oct. 22 as third-quarter results blew through analyst forecasts with profits rising 24 percent. The world’s biggest biotech company reported a profit of $1.37 billion, or $1.79 per share, on revenue of $4.75 billion. 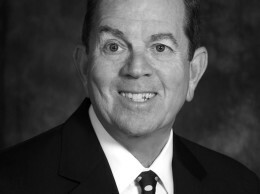 Analysts were forecasting revenue of $4.6 billion and profits of $1.76 per share. Amgen sells the arthritis treatment Enbrel and potential blockbuster Prolia for osteoporosis. The results don’t include sales from Onyx Pharmaceuticals, which Amgen agreed to buy on Sept. 30. During regular trading, Amgen’s stock rose $2.57, or 2.3 percent, to $116.21 as investors anticipated a strong quarter from the company, which did not disappoint as its tax rate fell and as it got a government order for Neupogen, a drug that boosts white blood cells. Revenue was up 10 percent, a hefty gain and one that Wall Street is likely to cheer as other pharma companies are getting their profit growth from cost reductions. 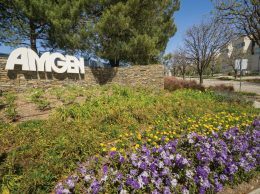 Amgen slightly increased the low end of its 2013 profit forecast and now expects $7.35 to $7.45 per share for the full year.